The Navy views the Ohio-class replacement ballistic missile submarine as its top priority, indicating it would be prepared to slash other ship programs to build the 12 submarines it needs. Senior congressional aides noted that the Navy would consider reducing its 11-aircraft carrier fleet before it would scale back its plans to replace the Ohio-class ballistic submarine. 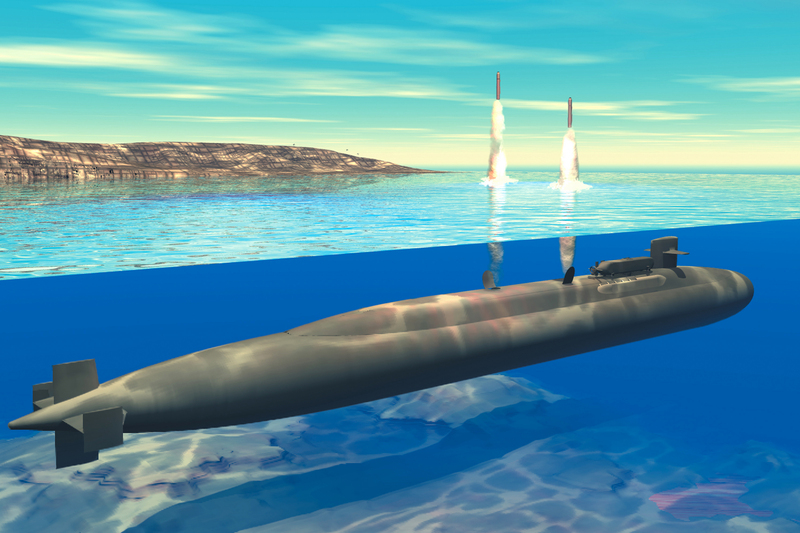 The reasons, according to the Navy, include the central role the ballistic missile submarines play as the most survivable part of nuclear deterrent force, the aging of the existing ballistic submarine fleet, and a need to keep a healthy industrial base. “We are committed to sustaining a two-ocean national strategic deterrent that protects our homeland from nuclear attack, from other major war aggression and also access and extended deterrent for our allies,” said Rear Adm. Richard P. Breckenridge, director of the Navy’s Undersea Warfare Division. To provide a viable deterrent of 10 forward-deployed submarines in the Atlantic and Pacific, the Navy requires at least 12 submarines at any given time. “If we don’t build these 12 [ballistic missile submarines] on this timeline … that’s just [an] astronomical challenge for us to be able to maintain our vibrant and credible two-ocean deterrent — to deter bad behavior from powerful adversaries,” he told the House Armed Services Subcommittee on Seapower and Projection Forces last week. As a result of budget challenges last year, the Ohio-class replacement program was delayed two years. The Navy once had 18 Ohio-class ballistic missile submarines. At Congress’ direction, four of those submarines were converted to cruise-missile-carrying submarines, leaving 14 ballistic missile subs. Since then, the Navy decided on a plan to replace those 14 submarines with 12 of the new ballistic missile submarines. The last time Congress started to buy a ballistic missile submarine, President Richard Nixon was in office. Procurement of the new submarines won’t begin until 2021. This entry was posted in US Submarines and tagged ballistic, Ohio Class, Richard Breckenridge, Submarine on September 19, 2013 by jasonlockley.